O joy! After two weekend I have a brand new kitchen at our summer home, fitted by my two handy friends Stian and Øyvind. Last weekend I prepared my first meal, and what else to choose than meatballs cosa nostra and foie gras served with a chilled Pineau de Charentes. I am happy to get the assistance, as I am all thumbs. 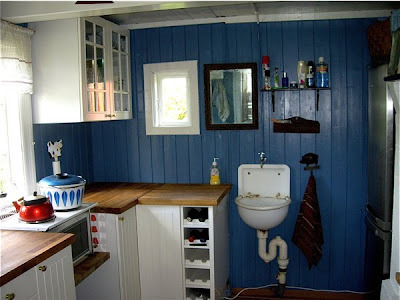 We bought the kitchen at IKEA, and drove it down to the summer home. 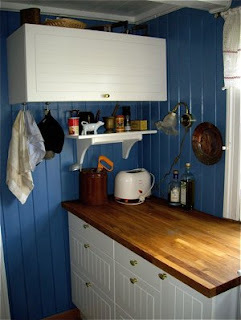 It is a plain white kitchen with brass handles and a solid oak work top. It was surprisingly quick to assemble, as most of the kitchen was up by Saturday May 9th leaving the details to the Saturday 24th, i.e. last weekend. I am very grateful to good friends for a terrific job. My old kitchen could hardly be called a kitchen. My new and very practical work surfaces makes it so much easier to cook. Then I prepared my first meal for my guests. I bought 650 grams of goose liver in Copenhagen in April. As I shared it with my sister, I brought my part down to my summer home, sliced in thinly and placed them in my freezer for later use. I wanted to celebrate with one slice, and another of my guests brought a bottle of Pineau des Charentes, an aperitif based on cognac and grape must, manufactured by Bache-Gabrielsen a Franco-Norwegian cognac house. 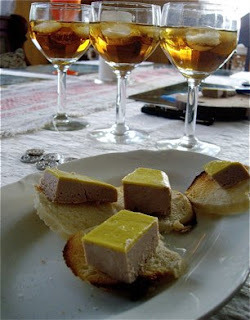 Delicious to the foie gras, sweet with a distinct character, served with ice. It was also recommended to blue cheese, as the late harvest or sauternes wines. The goose liver was extremely cheap, only DKK 165 or under €20 for 650 grams. I was surprised by the high quality, and I highly recommend it - produced by Georges Thiol. I did some serious grocery shopping in Copenhagen. Read what I bought here. 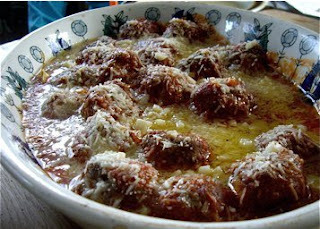 As a main dish I made Meatballs Cosa Nostra, spicy Italian meatballs with onions, tomato sauce and lots and lots of Parmesan cheese. Hungry? Get the recipe here! I could make it with the first harvest of fresh herbs from my garden, as lovage, sage, thyme and oregano. I added a indecent amount of garlic, and it all blended into a delicious Italian experience.